The rise in the popularity of video content is particularly noteworthy. In fact, according to a recent report from SnapApp, 69% of companies plan to increase their budgets to produce video content. So how does the changing face in the types of content marketing change the skill sets needed with your staff? Looking forward, here’s who you’ll want on your content marketing team. This isn’t a new skill set. But it’s a skill set that is more critical than ever. Search optimization is about quality. It’s about engaging visitors and maximizing their time on your page. And, "engaging” starts with writing. You need writers who have the ability to draw your audience in, intrigue them, entertain them and make them want to stay. By doing so, you will increase “dwell time,” and reduce the “short click” — two analytic measurements utilized to gauge the effectiveness of your content. As mentioned early, the demand for video content will continue to grow at a rapid pace. Companies are quickly learning that a strong video can keep visitors on the page longer and send good user-interaction signals to the search engines. This means that B2B companies will need someone on staff, or outside resources, who understands the medium and can optimize it with content that is engaging, relevant and shareable. More companies are looking for videographers, video editors and broadcast producers to help round out their capabilities in this burgeoning medium. Audiences today want their content delivered in palatable, easy-to-understand forms. As such, social networks and websites are becoming more and more visual, with infographics being implemented in greater numbers than ever. Strong infographics help with readability and communication and have shown to improve SEO. In addition, useful infographics are more likely to get picked up by other bloggers, which will help you build your authority and thought leadership. But remember: Graphics are more than just pretty pictures; they’re information tools that must convey data simply, quickly and effectively. So, it’s vital to have a person on your team who can interpret mounds of complex information and translate it visually. As counterintuitive as it may sound, there is actually a trend toward longer content these days. 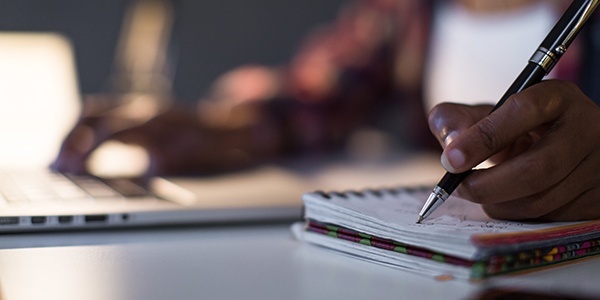 According to a study conducted by Orbit Media Studios, marketers are spending a lot more time on each post and writing lengthier pieces than they did in the past. In fact, the average blog post is 1,050 words, up 19% from 2016. Naturally, the more you write, the more research you’ll have to do to get the content and the details you need. So, it pays to have people on staff who know how to dig for information and have the ability to find it quickly and efficiently. To keep the content pipeline flowing, you’ll also need people who are adept at researching new topics as well as the keywords your audience is searching for. In the end, it’s all about the data. It’s about understanding where you’re strong and where you can improve. Without analytics, you’ll have no idea what’s working, what’s failing, and what’s treading water. Content marketing requires someone with a deep knowledge of common analytic tools and optimization approaches. So, make sure you have that person on your staff. Because without an analytics expert, the rest of your great team will be flying blind. Want to learn more about content marketing? Contact Point to Point for ideas on how to build an effective content strategy of your own.